Full results have been posted for the RTB Rick Wunder Memorial event, held Jan. 7-8, 2017, at Lakeside Lanes. Click here to view these results in PDF format. 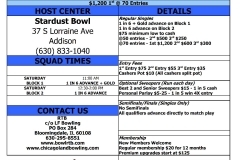 At the Rick Wunder Memorial singles event hosted by Lakeside Lanes there were 76 main event entries and 87 optional sweeper entries and $6,233 was paid out in prize money and optionals. 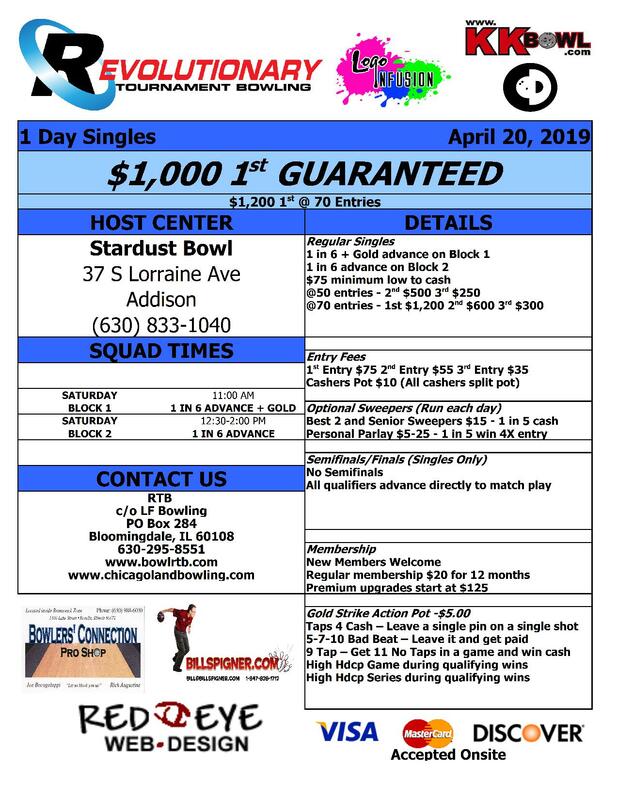 Congratulations to Dwight Bergner (254) who topped Susan Schlink (229), Rick Hara (221), and Nestor Malab (200) in the championship match to win $500. Dwight was not entered in the Bonanza Progressive nor the Winner’s Pot. Jason Ramsey and Steve Koszola won entry vouchers in the entry raffle. Tim Culp, Dave Palojarvi Sr, and Gordon Brown each won bowling balls in the ball raffle. $500 was raised in Rick’s memory and will be donated to the American Cancer Society.